Addressing the prevalence of lead pipe in the U.S. will require decades and estimates of billions of dollars to fix. For some utilities, pipe replacement is most feasible, others are considering liners or resins to seal the interior of the pipe, and many are seeking help in identifying where lead pipe is located in their networks. While that is a major burden for some utilities, there are many other factors a facility manager contemplates on a regular basis, as well. For instance, emergency preparedness plans are critical to keep up to date—particularly in areas affected by disasters such as flooding and hurricanes. Public outreach and a strong communications strategy also are considerations, as well as how to use existing tools and the Internet of Things (IoT) to better manage the utility as a whole. There are numerous offerings and technologies available to address all these issues. Knowing how the technology works and implementing best practices observed at other facilities can eliminate the guesswork in determining the best direction for specific utilities. The question for most water utilities is not if they have lead pipe in their networks, but rather where the lead pipe is located. Cities like Chicago and Flint, Mich., have miles of lead pipe in their networks, an overwhelming prospect to manage and address. Megan Glover, CEO and cofounder of 120WaterAudit, said that inventory of those systems can help utilities prioritize where to pool their resources to make replacements or repairs. In addition to raising questions about easements, property rights and funding, this push also has created a need for water systems to identify not only what is in their side of the systems but also on the consumer side of the system. Glover said that her company aggregates data from several sources—GIS systems, utility records and public records, to name a few—to help utilities determine where those line are. As such, it creates a massive database for utilities to find additional information about where their service lines may be. Software can go deeper than that. By overlaying this information with other data such as demographic information, Glover said a utility can begin to prioritize its replacements. In Wisconsin, she said, a utility used demographic household information to replace pipe in neighborhoods with high concentrations of children, even pregnant mothers. This can pose its own difficulties. “Most water systems have been adopting GIS for a very long time and GIS serves a very important purpose inside a utility, but the water quality folks who are tasked with executing a portion of the lead service line program may not have access to that GIS team because the departments are fragmented,” Glover said. Opening lines of communication and cross referencing available data, she said, are critically helpful to utilities looking to inventory their networks and to develop a replacement strategy for the work. Jeff Odoms, Florida associate emergency manager and compliance supervisor, said that most utilities have an emergency management plan in place for disasters or other events. What this plan entails differs from utility to utility as water and wastewater treatment plants have different concerns based on local ordinances, regional contaminants and emergency weather events. Odoms said every effective emergency management plan starts with a proper vulnerability assessment that takes into account all the likely emergency events a utility may face. These issues can include flooding risks, salt water intrusion, tornadoes, hurricanes and even water scarce conditions. What often is overlooked are the smaller risks. Historically, Odoms said that utilities are good at responding to losses of service. They often are good at responding to emergencies as well because of their detailed plans of action, but where this can be improved is in the developing proactive responses. As an example, Odom said a fire department that primarily is trained and prepared for warehouse fires due to their frequency over other fires may not be as adequate at responding to a high rise fire. He said it is important that personnel are trained for all types of events, whether they are faced with them every day or not. News, public outreach and communicating with end users has been an important aspect for utilities to manage for years, and there has been no better time to get closer to the end user than now. Social media is the connective tissue for society these days and implementing an effective strategy with it can elevate a utility’s position in its community. The Northeast Ohio Regional Sewer District has a prolific social media account that has found ways to bridge the gap between end users and operators while also relaying important, timely and effective messages to its customers and the region. NEORSD Communications Manager John Gonzalez said that social media is a critical piece to his communications program at the district and he cannot think of a reason to exclude it from consideration in his messaging. When he starts to develop a campaign with his team, Gonzalez first develops a strategy, then a structure and finally the substance. Through this lens, he is taking an approach that is goal-oriented that also determines its execution before any of the content is created. This allows his team to plan out how social media messages should be a part of the overall strategy, when they should be sent and who is responsible for the content. He said the goal of this is to get people to pause and turn on a notification because they feel that they either were educated, entertained or engaged with the content. This mentality helps drive social decisions and Gonzalez said tweets that entertain are particularly effective for raising awareness, which then can spiral into a user following more content and learning more about the work the utility does. Once he gets to the substance portion, he also said taking the appropriate tone is important. This tone can be humorous or serious, but above all, he said it needs to be honest and natural. The more each message sounds like a human instead of a corporation or organization, the more people are likely to engage. It can break down barriers. Another means for breaking down barriers is getting buy-in and participation from other employees within the utility. Putting a face to the people who maintain operations, replace pipe and manage other duties around the facility can be another way of humanizing the utility to starting new conversations with people. “Not everybody gets the recognition they deserve, but if we can use our social to help tell those stories to draw some attention to that kind of work or those individuals who are doing that work or an aspect of our industry that most people just do not give a lot of time to, it is an opportunity to tell people that they’re providing a valuable service,” Gonzalez said. Discussions of IoT often delve into the arena of smart water and how utilities can use connected devices to better manage how their network functions or to determine new ways to solve old problems. Gary Wong, industry principal of water for OSIsoft, said that utilities often overlook some of the data that they could be collecting and how they could better use it. For example, maintenance plans traditionally have been completed on a rolling basis using time—every three months or every six months for instance. A more effective way would be to monitor the piece of a equipment and compare it to the manufacturer’s information. 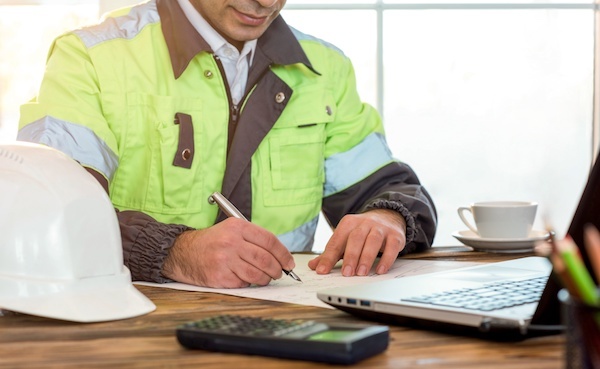 For instance, monitoring a pump’s energy use, run time hours, and vibration if the sensors are available can create a more effective plan to develop work orders than a rolling schedule. Another example he noted are meters as they commonly are used for billing purposes and nothing else. He said that practice can be short-sighted as it does not use that information in additional ways, such as comparing meter readings month to month to determine where leaks likely are located. That said, Wong believes that finding leaks with this kind of technology is low-hanging fruit in that it can have immediate impacts on utilities. He mentioned that a utility used a GIS system and a SCADA system but did not have anything that linked the two. Wong said the utility used OSIsoft’s software, Pi System, to comb through the data in real time and found a 300,000 gal annual leak within four days. “The homeowner actually thought this leak was a natural spring in their yard,” Wong said, noting that the homeowner even did some landscaping around that spot to beautify it. By connecting data from multiple sources, Wong said new correlations can be made, and that can empower utilities with more data to make better decisions, which ultimately makes management of the utility better and more efficient.